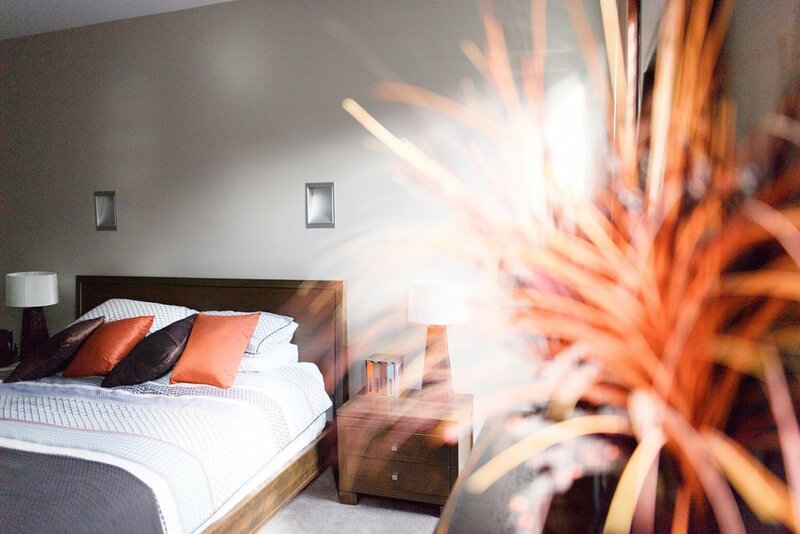 Our sleep spaces include three King Size Bedrooms, two with ensuites, and the other adjoining the main Bathroom. There is a large bedroom with four Single Bunk Beds, and two Euro Fold Down Beds in the Study. The three main bedrooms are travel themed, in a Venetian, French and African Safari style. All bedrooms have built in robes with plenty of hanging and drawer space for your personal belongings. Luxurious pillow top mattresses and protectors, Super King Doonas and crisp white sheets make your stay in Sorrento Luxury one where you won't want to venture out of bed - except to go to the Theatre maybe! This is our Safari Room, styled in the warm colours of the African Desert. Our French styled bedroom takes you back in time to the era of Parisian Romance, tall beds and restful, relaxing evenings. Our Venetian Room is all about warm timber, scrolled bed ends, high pillows and luxury. It features a wall mounted smart TV & DVD player, a built in robe and luxurious ensuite.